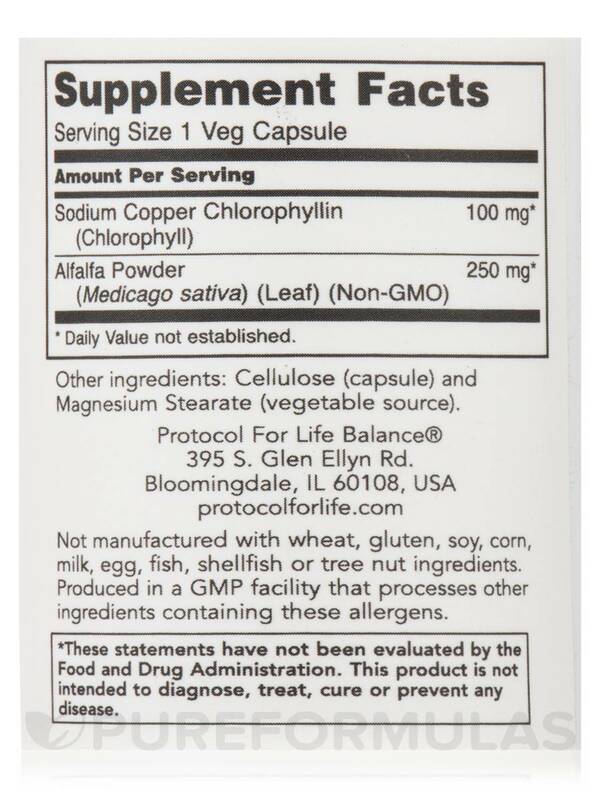 My naturopath recommended Chlorophyll 100 mg by Protocol for Life Balance to me. I am not sure what it does, but I have noticed my hair grows faster! 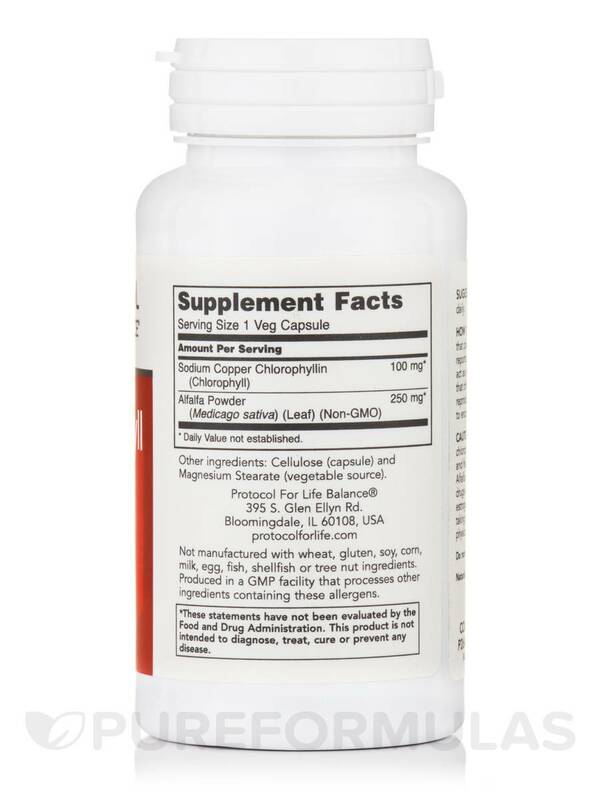 Chlorophyll 100 mg from Protocol for Life Balance® is a unique supplement that may function as an antioxidant while supporting healthy cellular reproduction and liver functions. Chlorophyll is the green pigment found in plants that helps them make their own food. Research states that this pigment found in plants may be instrumental in promoting better health. While it alleviates constipation and gas‚ chlorophyll may also be used to help in controlling hunger and curbing hunger cravings. Research shows that chlorophyll may help in advancing the healing and cleansing processes. 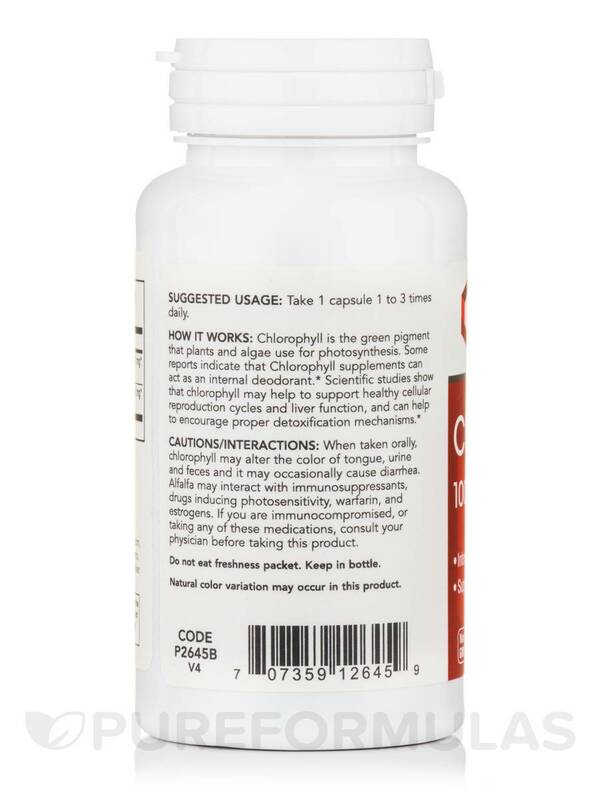 Environmental pollutants such as toxic metals may find a way into our body and chlorophyll present in this Protocol for Life Supplement® may detoxify the body. Derived from alfalfa through a natural process‚ this supplement may contain high levels of vitamins and minerals that are of the highest nutritional value. 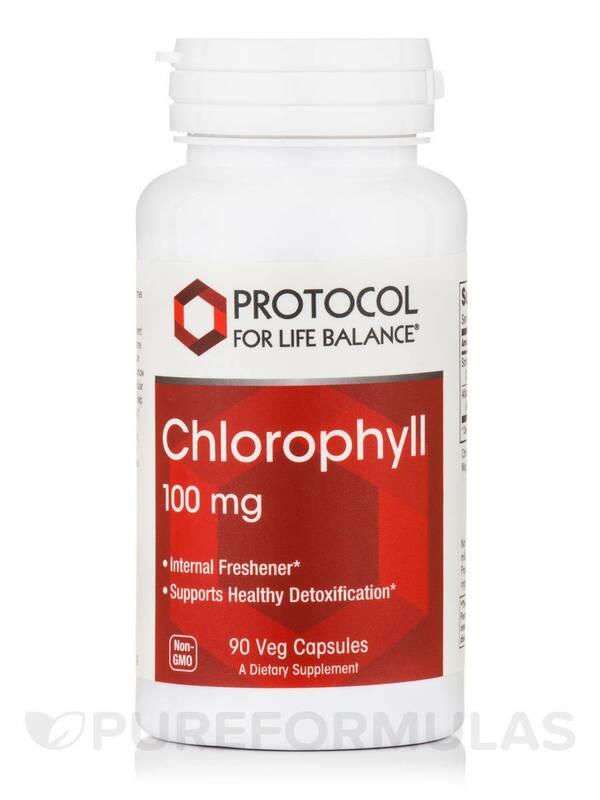 Give your body the strength of Chlorophyll 100 mg from Protocol for Life Balance®. Other Ingredients: Cellulose (capsule)‚ and magnesium stearate (vegetable source). 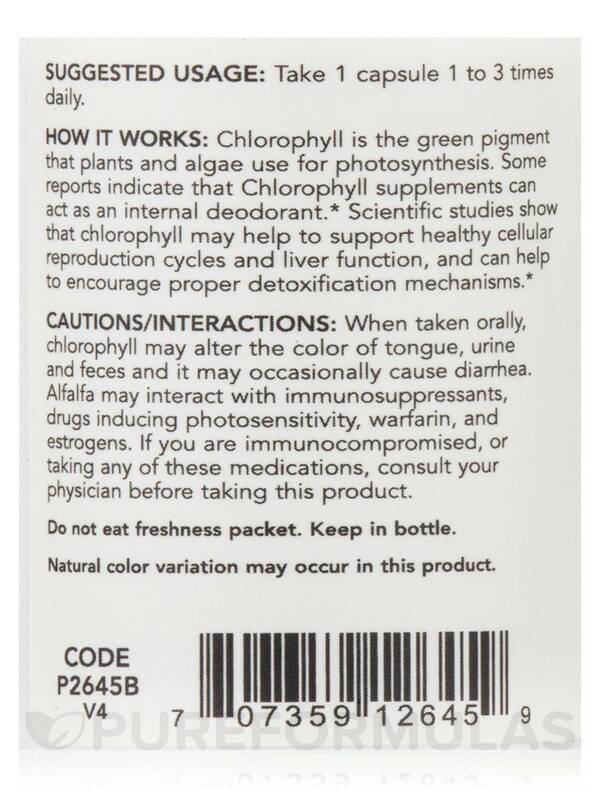 When taken orally‚ chlorophyll may alter the color of tongue‚ urine and feces and it may occasionally give diarrhea. Alfalfa may interact with immunosuppressants‚ drugs inducing photosensitivity‚ warfarin‚ and estrogens. If you are immunocompromised‚ taking immunosuppressants‚ drugs inducing photosensitivity‚ estrogens‚ or warfarin‚ consult your physician before taking this product.